#1: Make Any Repairs and CLEAN! Sometimes the easiest and quickest repairs are the ones that pay the most with the least amount of time, money and effort. Well, maybe a little effort. Clean, Clean, Clean will be the mantra for this paragraph. Turn your eyes into potential buyers eyes and the easiest way to do that is start by standing in the road (as long as it’s not a busy street, then the sidewalk will suffice) and look at the exterior of the house. Is the front door paint faded, is the trim around the windows and doors pealing, are the bushes and shrubs overgrown, is the grass brown and full of weeds, what about the garage, is it stuffed to the rafters so you can’t park your car inside? Is this what attracted you to your home when you bought it? If not you know what you need to do on the exterior. You can try and stage the furniture in your home or you can hire a professional. If you are going to stage your own home then what you’ll need to do is concentrate your efforts to figure out the focal point of each room, particularly the living room, kitchen, and bedrooms. What’s a focal point you ask? Well, what draws your eye and attention when you walk into a room? It could be a fireplace, a beautiful view from a window, even an accent wall. Once you’ve figured out the focal point, angle your furniture toward that point. Make sure all the walkways are clear and not cluttered with furniture. If you need to remove furniture from one or more rooms to make each room look more spacious…Do It! This can make a relatively small room appear much larger. Don’t forget the curtains or drapes. If they look old and dingy, replace them. If you have blinds make sure they are free of dust. Let everyone you know by word of mouth and on social media know about your open house. Your friends may not know anyone looking to buy your home but if it goes viral you may very well end up with a buyer that came from a Facebook post. Your agent will also post on social media channels but you always want to maximize your efforts to sell your house for the most money, in the shortest time and with the least amount of hassles. If you work in a school, factory or office and are allowed to post a flyer then get one from your agent and post away. Don’t forget grocery stores usually have areas where you can post flyers. Make sure you or your agent has plenty of directional signs to your home. 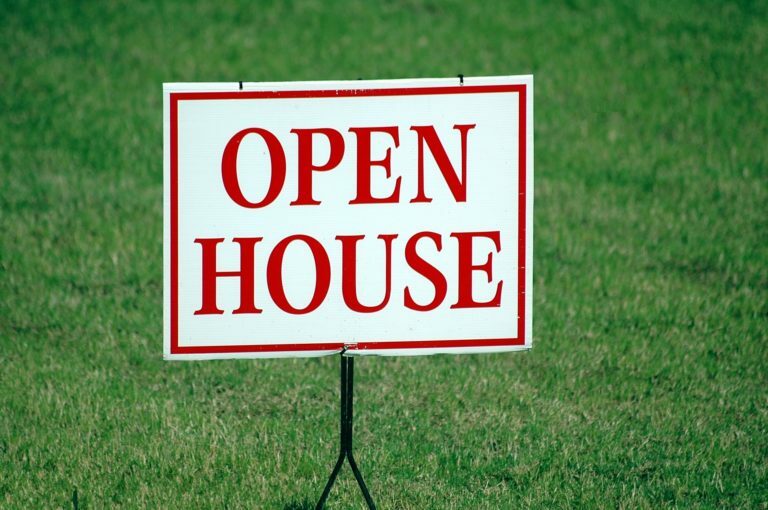 Don’t settle for just one open house sign in the front yard. I don’t know how many open houses I’ve done in my 26-year career and I’ve always asked the open house guest how they knew about the open house. I’m surprised that a large number of guest say they saw the open house signs. So if you’re in a subdivision and tucked way in the back, you or your agent might need 10-12 open house directional signs. You never know who is looking to buy your home. If you have small children or pets there is a good chance that they are going to have toys scattered around the house. Make a deal with your kids if they’re old enough. Double their allowance if they keep their rooms spotless while the house is up for sale and especially for an open house. They’ll appreciate the extra money and you’ll appreciate the fact that you’ll now breath a little easier if there is a short showing request. If you have a dog or cat it will be a good idea to grab their toys and put them away for the open house or showing. Replace the kitty litter and check the backyard for any fido surprises. Maybe some potpourri or other masking sprays. If you live in an area where there is a pet motel it might be a good idea to check into the motel for rates and times. 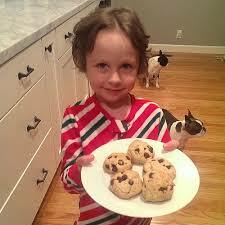 Nothing smells like home more than a fresh batch of baked cookies and freshly brewed coffee. You’ll be exciting a very strong sense in the human brain and that is the sense of smell. Even after they leave the open house they will still remember your home because of the sense of smell. Let the natural light shine into every room if possible. Open up the curtains and blinds, make sure the windows are clean and if possible let the fresh air in. There is nothing more than a dark room to put off a buyer. If you are having your open house in the winter months then you’ll want to turn on as many lights as possible and start a fire in your fireplace if possible. Smell and sight are another strong sense of the human mind. Don’t take these senses lightly. If you’re doing your own open house then treat every buyer as if they were your family or friends. If you think you’ll need help ask a friend or neighbor to help with the open house. They can greet the buyers while you field any question regarding the house. Also it is a good idea to have another person there for safety and security reasons. Keep the temperature at a comfortable level, maybe some soft music playing in the background. Prepare a sign in sheet with their names and contact information so you can follow up with them and answer any questions that they may have about your home. Also, it may come in handy if you notice any valuables are missing. If you anticipate a large turnout or are going to be the only one there then it would be wise if you asked a friend to help out. Remove any valuables, whether monetary or sentimental value. Put them in your car trunk and make sure your car is locked or take the items to your friends house.